Hello! Just here to share a quick card I made using some new stamps and dies that arrived in the post (mail) the other day from Clearly Besotted Stamps. 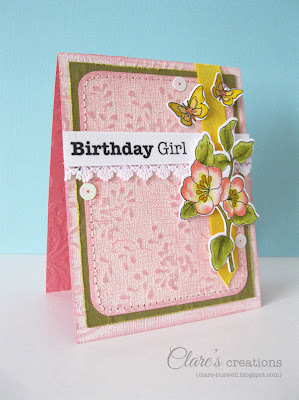 I've been dying to try them out I just love stamps that have co-ordinating dies! I also used some Core Impressions: Basic Grey Ornate Collection from Core'dinations, these papers come pre-embossed, which is great when you're in a hurry! 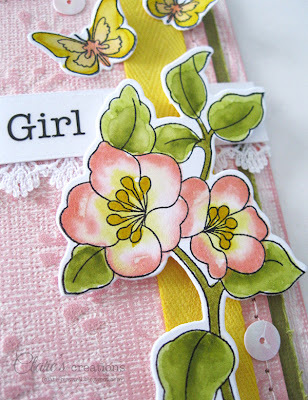 So, I die cut the flowers using the matching blossom die from Happy Everything Die Collection from Clearly Besotted Stamps, then stamped the flower from the Happy Everything stamp set onto the die cut. I wanted a soft watercolor effect so I used some Distress Markers (Mustard Seed, Tattered Rose, Spun Sugar, Worn Lipstick, Shabby Shutters and Peeled Paint) and a small wet paintbrush to blend the colors after applying. I love this look and it's so easy with the Distress Markers! I repeated this for the butterflies. 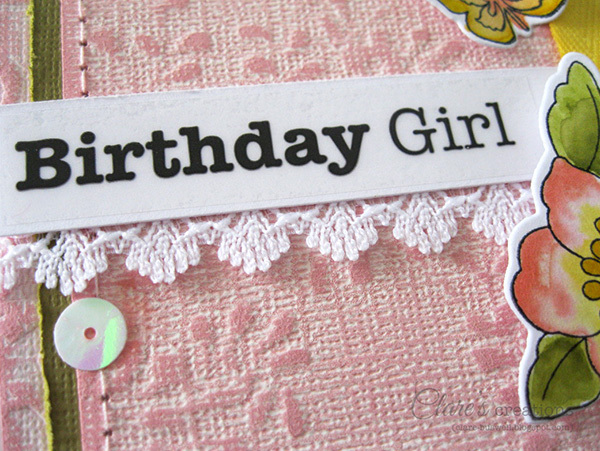 I dipped into my stash of SRM Stickers for the sentiment, this one's from Express Yourself Birthday. I also added a few sequins for a touch of sparkle. Thanks for stopping by, I'll be back tomorrow with my CASE Study card. See you then! 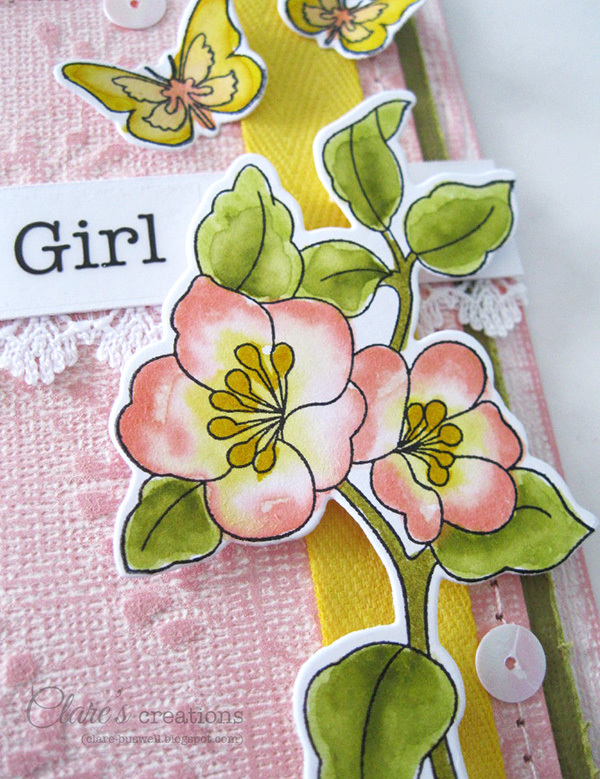 Labels: Clearly Besotted Stamps., Core'dinations, Distress Markers, SRM Stickers, watercolor effect. Beautiful design and colors. Love the flowers. Stamps and Dies for SALE!